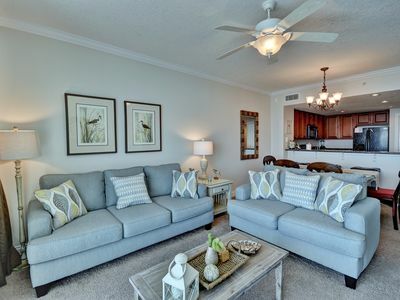 This comfortable deluxe ground floor studio condo is equipped with a complete kitchen including a dishwasher and a full-sized refrigerator, tile floor, and a large TV. 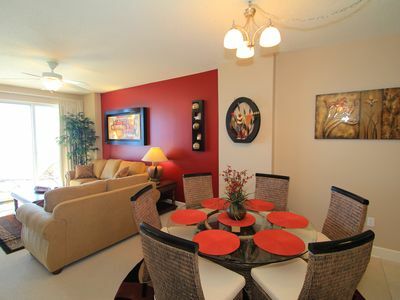 This charming unit is newly decorated featuring a mariner theme and updated with modern appliances. 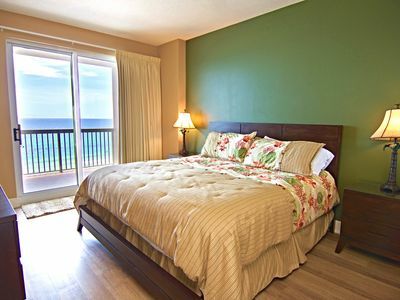 It features 2 full-sized beds and a futon for naps or lounging. This roomy studio even includes a huge walk in closet. There is wifi INSIDE the apartment. 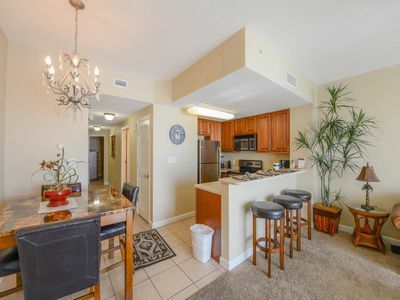 As a bonus this light and bright ground floor unit also features its own private patio, giving easy access to the parking lot for convenient loading and unloading from your vehicle. The pool is steps away. Your own complimentary beach chairs and umbrella await you on this unique powder white sand beach on the Gulf of Mexico. 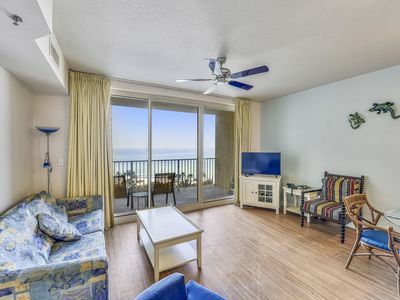 PLEASE NOTE THAT THERE IS NOT A DIRECT VIEW OF THE GULF FROM THIS CONDO. 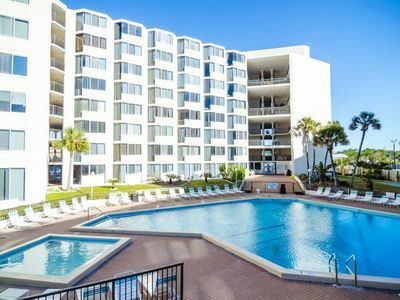 The condominium is located in the heart of Panama City Beach and is within walking distance to Club La Vela and Spinnaker, shopping, golfing, and many other activities. 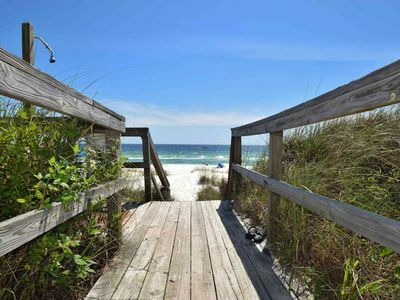 This family-oriented condominium complex has a large pool and a baby pool, seasonal snack bar, exercise room, and a massive sundeck overlooking one of the most beautiful beaches on the Emerald Coast. Guests must register with the condo office and pay a $20 CASH fee for a guest parking sticker and wristbands. If you arrive after hours, the condo office will be closed. In that case, register with the office the next day when they open. They will give you the parking pass to put on your car. There needs to be at least one person 21 years of age in a rental unit per condo rules, and it is strictly enforced. We do require a valid drivers license for proof of age. This condominium unit is a NON-SMOKING Unit. (Smoking allowed in outside areas.) 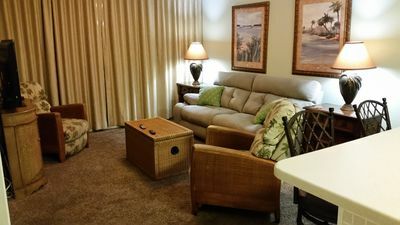 Smoking in the unit, or any other deviations from the rules of Top of the Gulf (including failure to occupy the room without advanced notice), will result in a forfeiture of the $150.00 deposit. We do not allow pets. By sending the deposit, you are agreeing to these simple conditions. Please note this is a studio and there is not a private bedroom. However, it is 489 sq. feet and will sleep 4 comfortably. We do not allow more than 4 guests in this condo. This is in compliance with NFPA 01, 2010 Life Safety Code 1.4.8.1.2 Occupant Load Factor. If you show up with more than 4 occupants or a pet to stay in my condo, you are subject to loss of deposit and monies paid and will be turned away by security. There are no exceptions. 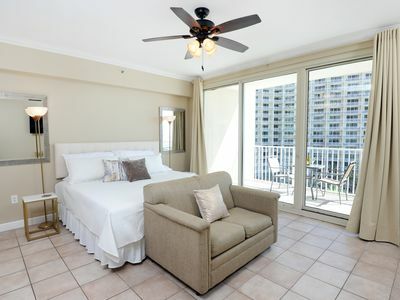 **Please note this is a gulf front complex, however, there is NOT A VIEW OF THE GULF FROM THIS UNIT OR FROM ITS PRIVATE PATIO. 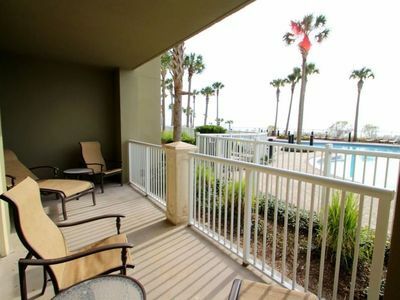 However, you are literally steps from the pool and gulf and you can sit on an upper floor patio and snack and view the gulf. Also, a great sundeck. The lack of a direct view is offset by the convenience of a ground floor unit. Seychelles 1002 - Don’t miss your spring vacation. Book now! 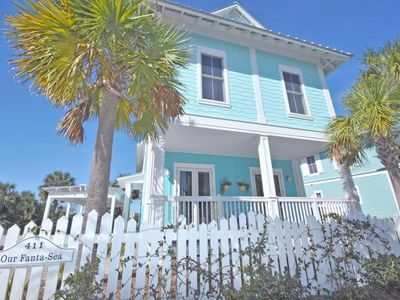 'Bikini Beach' - 6 Bedroom/4 Bathroom Beach Front Home, Sleeps 14, Great Rates! 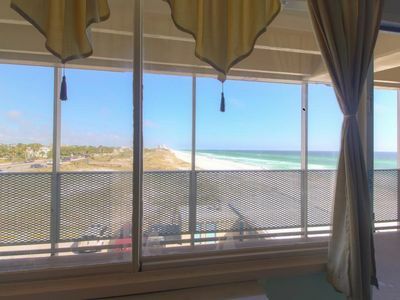 Gulf Front condo PRIVATE JACUZZI BATH and almost a mile of secluded beach. 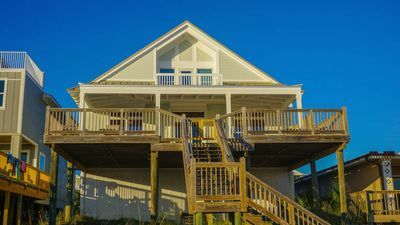 Carillon Beach's Best Lakefront Home, Just Steps to Beach & Pool! UNIT 809! OPEN 4/20-27 NOW ONLY $1370 TOTAL! BOOK ONLINE AND SAVE! IT'S TIME TO BOOK FOR SPRING & SUMMER! 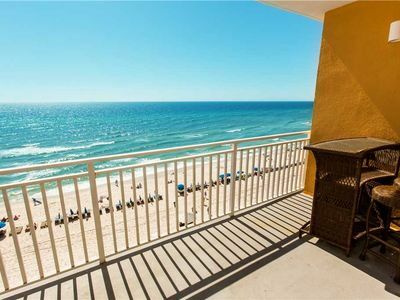 GULF FRONT & PERFECT FOR 2 - 3!